Working within the discipline of system thinking and system dynamics, Dr Sue McAvoy is engaged in multidisciplinary research through the UQBS. One of Sue's roles is to introduce systems science (predictive analytics) to the Mater healthcare businesses. System Dynamics simulation models can provide a valuable role in probing healthcare systems and strengthening them. They provide a rigorous, data driven, systematic way to use evidence based learning to inform strategy development and implementation. The modelling methodology and architecture encourages the adoption of a systemic view of the interactions involved in patient flows and offers a strategic perspective on how best to optimise the management of the system's resources. Predictive dashboards can assist policy makers, clinicians and business managers to respondoptimally to uncertainty. Sue also lectures the newly introduced Business Dynamics subject into the UQBS Master’s Program. Building on existing business strategy concepts, Business Dynamics uses the tools and principles of System Dynamics to analyse and understand a firm’s performance and design robust strategies to improve its performance through time. Sue is currently leading a project within the UQBS investigating how potentially disruptive red meat grown from stem cell technology may be to the traditional industry. This work is funded by a Meat and Livestock Association Research Grant. Sue has a first class honours degree in Econometrics, a full two year MBA and completed a PhD in 2015 investigating the impact of the carbon tax on Australia’s Red Meat Industry using system dynamics. Sue’s interest in the topic was born of working for 25 years in the red meat processing sector. She entered the industry in 1984, accepting the newly formed role of Group Treasurer, Australia Meat Holdings, to steer Australia's major processing companies through an industry wide rationalisation. In later years, Sue undertook the role of Risk Manager and Co-Treasurer for JBS Australia’s operations, a $3 billion dollar enterprise nationally. Responsibilities included currency management, cash flow management and loan negotiation. 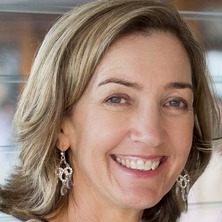 Prior to 1984, Sue was second in charge of the Queensland Government Treasury Department with responsibility for management of Queensland Government debt and foreign currency exposures under the leadership of Sir Leo Hielscher. Current wider business and community roles include being Board Chair at St Joseph’s Nudgee College, Brisbane with prior roles including Deputy Chair and Chair of the Finance and Risk Committee. In earlier years, Sue was Chair of the Sts Peter and Pauls School Board and on the Finance Committee of Greening Australia. System Dynamics is a holistic modelling paradigm based on systems thinking principles which recognises and accommodates the complexity organisations are trying to deal with. Rather than taking a siloed approach to solving a problem, the value proposition of system dynamics is that it can incorporate the interconnected-ness of resources (tangible and intangible) complete with feedbacks, time delays and non-linearities. The insights yielded are proven to strengthen our mental models and lead to less shifting the burden to other parts of the system andl less unintennded consequences. THE OECD, the United Nations and the WHO have all recognised systems thinking and system dynamics as essential tools for policy making in the 21st century and beyond. I am applying system dynamics to the problem of health care service delivery. The delivery of health care services is no longer just complicated. It is complex and this complexity calls for a new approach if the provision of services is to keep step with a growing population and an increase in chronic health conditions. System Dynamics offer a lens to insights which can help organisations make less wrong policy decisions. What we define as red meat is undergoing change as innovators are using stem cells to grow clean meat and develop blended products. Plant based meat products are also threatening traditional markets. This could change the red meat industry in Australia. Based on communication of my current research, The Mater Hospital Data and Analytics team have prioritised predictive analytics as a strategic priority. Embedment of my predictive modelling tool could provide invaluable insights which improve patient outcomes by improving access to and reducing time spent in the Emergency Department. Research has shown that some 30% of patients within an Emergency Deaprtment environment feel unsafe, so tools to improve decisions which impact flow are beneficial. Critical decisions are frequently based on mental models, which by the nature of the complexity involved, ignore important feedback loops so a systems approach can close this gap. Attracting the MLA research grant positions UQBS to be a leader in the knowledge economy of cellular meat. Meat grown from stems cells and plant based meat alternatives are gaining momentum as research into their technologies is attracting funding from philanthropy (Bill Gates) as well as industry. As population growth and the demand for protein sources tests the supply capabilities of the traditional protein supplies, UQBS will be well positioned to bring a research perspective to the development of this technology in Australia helping inform the policy and regulation that will be required. My Board leadership roles enable me to actively encourage and promote the embedment of research into organisational strategy in a learning environment. Tomorrow's leaders are in high schools today so bringing a research mindset to decision-making in school environment embeds a direct social impact of research beyond academia. McAvoy, Susan Elizabeth. (1983). An econometric investigation of regional economic co-operation : a case study of Australia and Fiji Honours Thesis, School of Economics, University of Queensland.